globalFEST gathered on Friday, June 16th to host a gF hangout and celebrate the release of Amir ElSaffar’s “Not Two” with the Rivers of Sound ensemble at River to River Festival. 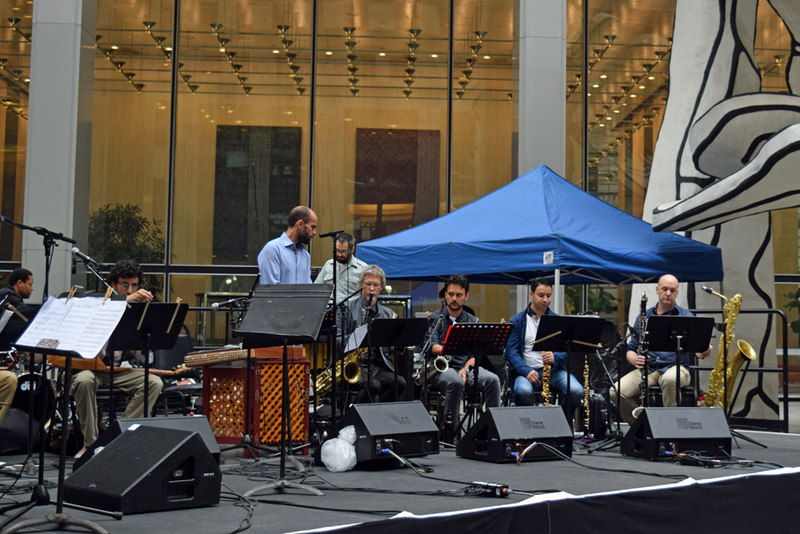 Combining styles from Iraqi maqam and American jazz, ElSaffar and his ensemble created a boundless sensory experience in a very site-specific concert. The 17 musicians that make up the Rivers of Sound ensemble use resonance as its governing principle. 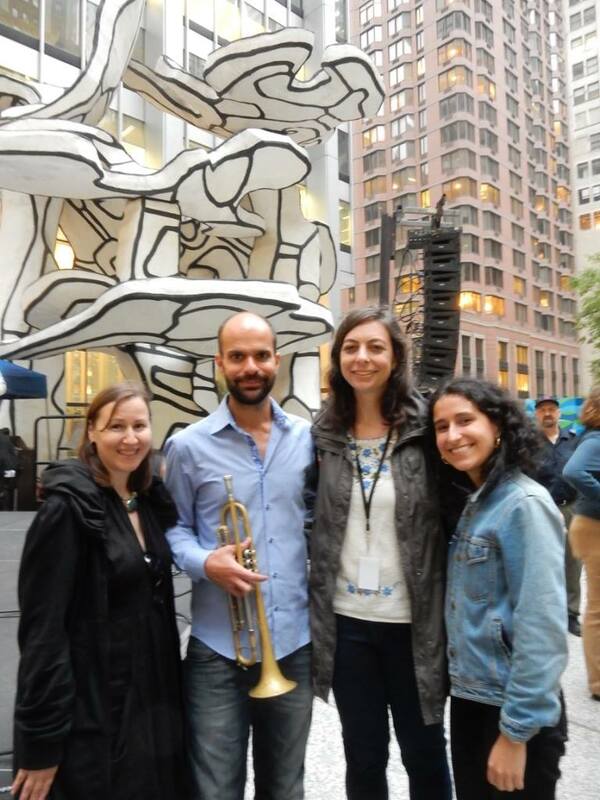 Included in the ensemble is Dena ElSaffar, who participated in Contrabanned: #MusicUnites at SXSW. 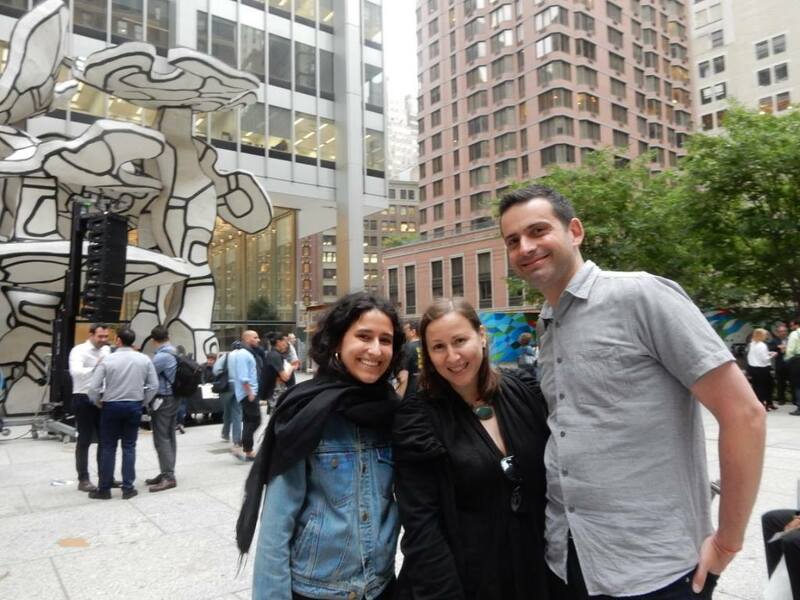 As we sprawled on a blanket at 28 Liberty Plaza, we were surrounded by echoing buildings and were lightly touched by falling raindrops. 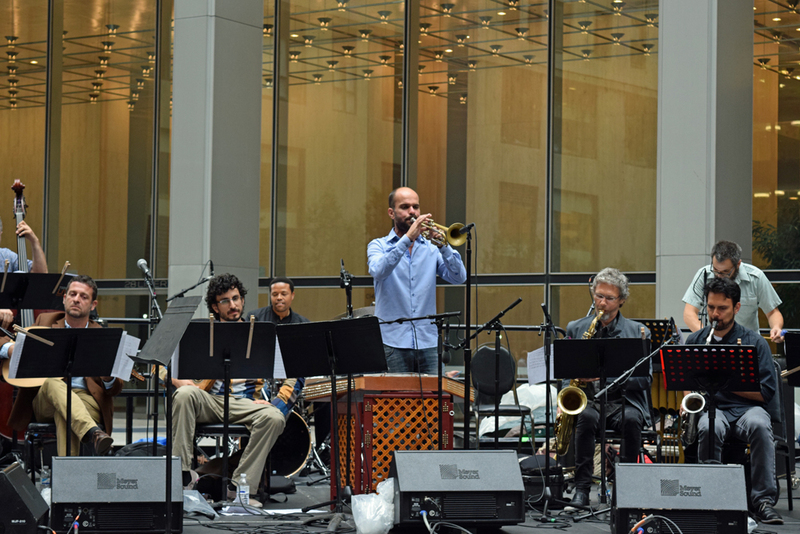 As the crowd grew in the plaza, the experience flourished into a borderless, communal music experience. People came off the streets to sit and listen, closing their eyes to experience tarab without prior instruction, rather just feeling the waves of sound. At the show’s end, we met with ElSaffar, who looked forward to coming back to New York with another performance of “Not Two” at the Skirball in February. Check where Amir will be next on his website here.